If you’re a technical writer, whether in the sciences, data processing and computer documentation, or engineering fields, here’s all the technical information on writing you’ll ever need, organized in an easy-access, step-by-step format, just like a technical manual. Writing for Technical Professionals has been designed with the same techniques used to create a good users’ manual. The abundant white space and good visual flow ensure better readability and make the information quickly accessible—much more so than in traditional writing texts. If you’re accustomed to creating technical manuals, you will find the format instantly familiar and may want to use it as a model for your own manuals, whether online or in print. 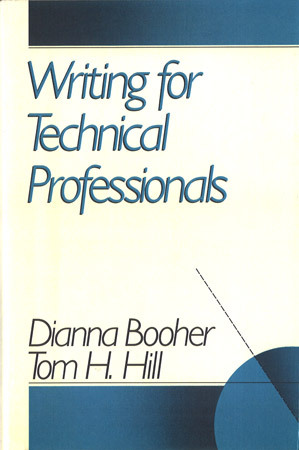 The style of Writing for Technical Professionals is jargon-free and filled with anecdotes and examples. The detailed Table of Contents and the frequent, informative headings throughout will help you skim for the information you need.